The world keeps telling us that we can’t really have it all. Say, it would be super-neat to have a Bluetooth-connected bike that brings together extra safety, unique design, high comfort and ultra-simplicity, wouldn’t it? 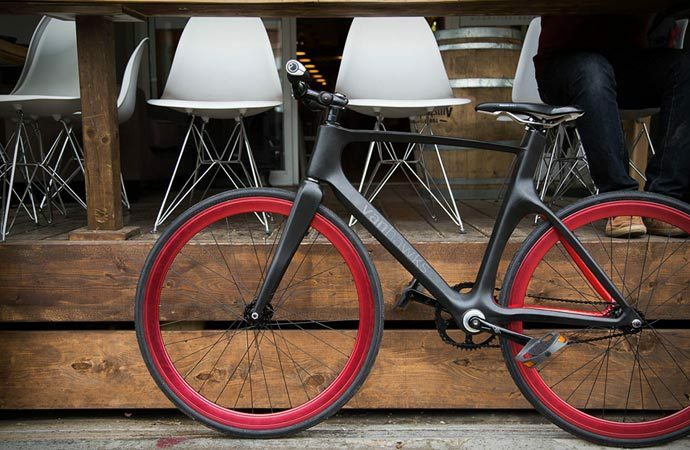 Well, that’s no longer mere wishful thinking, it’s become a rock-solid reality – now you can have it all with Valour Smart Bike, the world’s first connected carbon fiber bike recently released by the Toronto-based Vanhawks team. The Vanhawks Valour combines performance tracking, security sensors and interactive feedback to introduce radical changes in the ways you perceive biking. 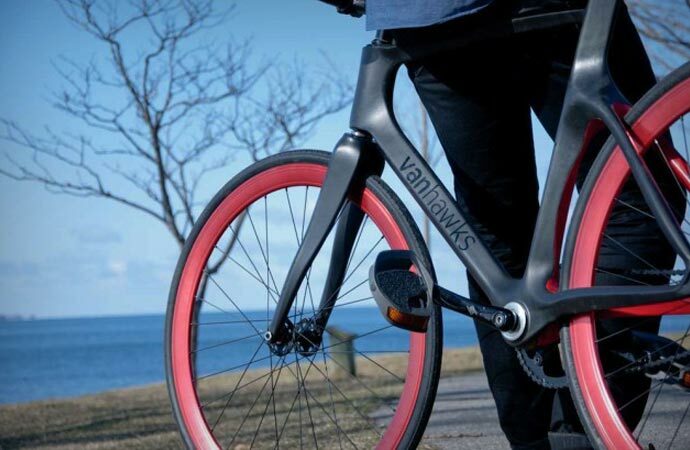 By integrating the most up-to-date technology into the bicycle for advanced personal safety and comfort, the Vanhawks team has managed to come up with a ‘bike of the future’ which aims to change urban commute forever. Designed with safety in mind, Valour’s built-in turn-by-turn navigation allows you to keep your eyes on the road and your hands on the bar as it features a low-energy Bluetooth connectivity option to provide directions and route suggestions directly from your smart phone’s iOS (Android, iPhone and Pebble apps are currently available). 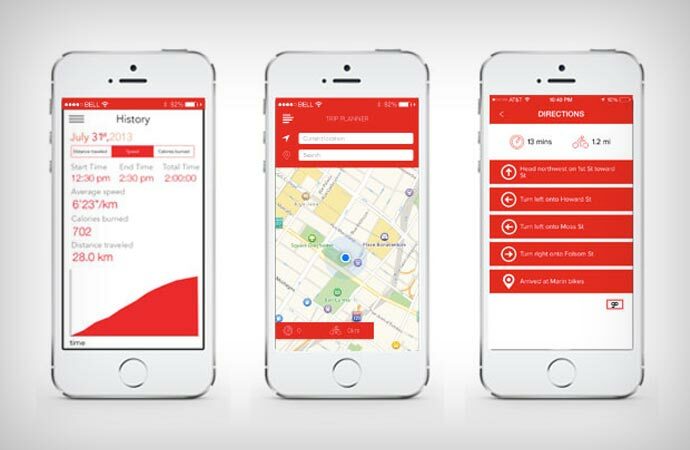 The system also connects through a bike-to-bike mesh–network (similar to car-to-car communication), by hooking your bike to the Valour community to gather real-time info on potential setbacks like potholes, closed roads or blocked lanes, and it can also be easily tracked if stolen. Valour’s LED indicators are connected to the smartphone’s GPS navigation to automatically signal at turns and the integrated haptic feedback in the handlebar grips sends a vibrating alert each time an object (car, fellow rider, etc.) enters your blind spot. On top of these cool security and safety features, the Vanhawks Valour also sports a ton of other useful on-board sensors such as a gyroscope, accelerometer, magnetometer, GPS receiver and speed sensor to track ride statistics in real-time and syncs the data on your route, distance, speed, time and calories burned to make sure you stay fit as a fiddle. Unlike the usual carbon fibre monocoque frames, the Valour’s bio-mimicry-based frame, including the seat post and fork, features special unibody carbon fiber molding for structural strength and production ease. Made with an internal wall structure which draws on the construction of human bones, the smart bike’s original design reinforces the critical load-bearing points in the frame to withstand the roughest roads and extreme three-dimensional stress. Plus, the bike is equipped with an ergonomic saddle, pedals and grips to ensure you preserve a riding position that is both extremely comfortable and also relieves pressure on your back muscles, spine and buttocks for a more versatile and active biking style. The bike is fitted with Shimano calliper brakes and the standard 700c 28-milimeter tires for ultra-reliable and extra-safe rides. The Valour is available in three sizes and three different modes – the fixie (weighing 15.8 pounds) and single-speed mode (weighing 16.3 pounds), as well as in the internal hub mode with inbuilt CVP Nuvinci N360 internal gear hub (weighing 19.6 pounds). It also has a front-wheel Supernova Infinity S Dynamo Hub that charges all the electronics as you cycle, so Valour only needs an hour long ride to fully charge. And guess what – this all is packed in just over 7 kilograms so you can easily carry your bike up one or two flight of stairs if needed.